Before you give a gift to a friend or loved one, consider adding an engraved plaque to make it a personalized gift! 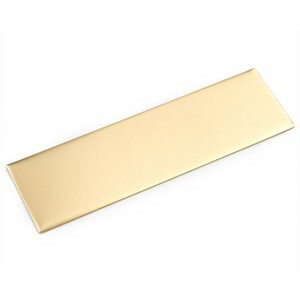 This brass plate has an adhesive back making it very easy to attach to any solid item. Up to 7 lines of 75 characters each, including spaces!